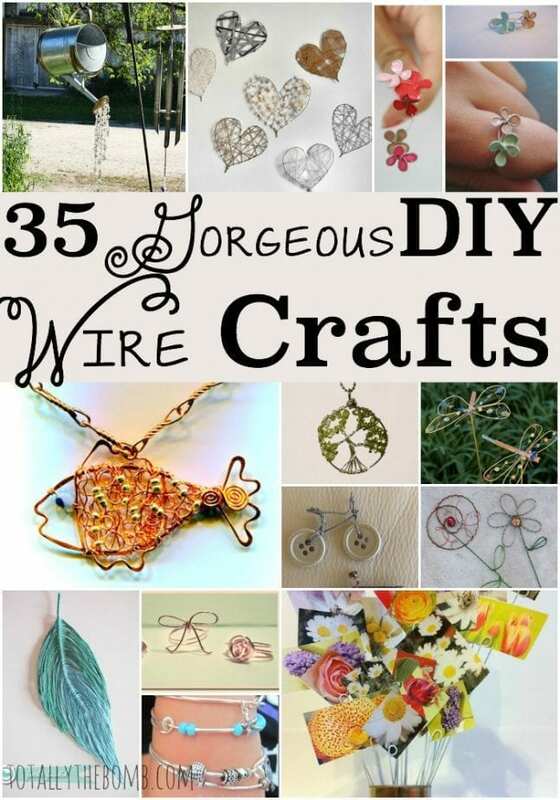 I love crafty things…especially those that are easy to make and turn out as beautiful as these 35 gorgeous diy wire crafts. Seriously, from jewelry to garden stakes to baubles for my home I’m itching to get my hands on some wire so I can try each of these out for myself. I think my favorite might be the stained glass rings, but only because I had no idea how simple they were to make! I might never buy jewelry again. Happy crafting! 1. This handmade feather is pretty enough to make you float away with happiness. 2. I’ve literally spent hundreds of dollars on adjustable bracelets like this. Who knew I could make them at home? 3. The only thing not cool about these iridescent fairy wings is how jealous they’ll make Tinker Bell. 4. You might not know it yet, but your garden NEEDS these adorable wire butterflies. 5. This beaded chandelier will make you the envy of all your neighbors. You’re welcome. 6. Bangle bracelets are the bomb. Like, totally the bomb. Everyone’s saying it. Really, they are. 7. For anyone with a black thumb, these wire flowers might be the only blooms in your garden this year. Lucky you (’cause they’re soo pretty)! 8. What does every young fairy need? A magic wand. 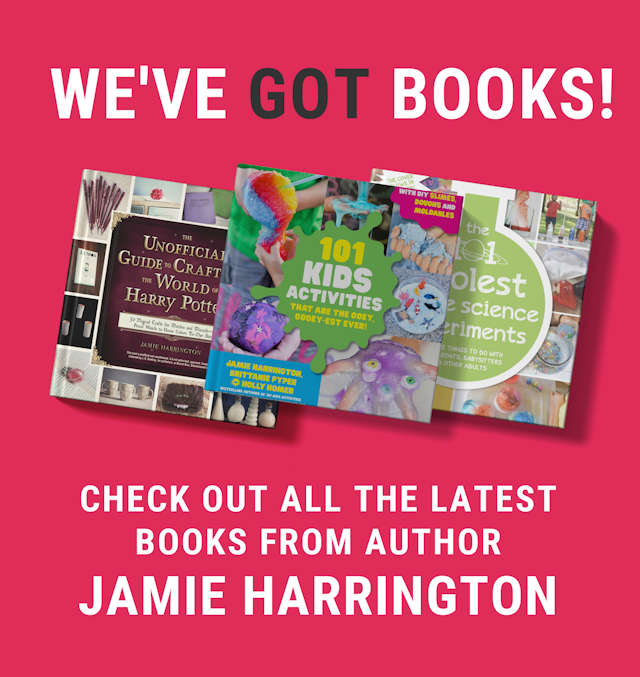 And now you can make one for the little fairy in your life! 9. Imagine how impressed everyone who visits your home will be when they see this incredible watering can that actually pours crystals. Wow!! 10. These wire angels will look so pretty hanging from your bedroom mirror or dangling in the back of your jewelry box. 11. Cinderella will have you on speed dial once you start making these incredibly simple wire pumpkins. 12. I would love to have hearts hanging in my house year round. And now that I know how to make these wire hearts, I probably will! 13. 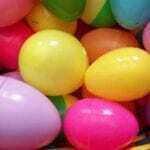 Are you looking for a fun wire craft to try with your kids? Try this wire button tree. It’s even pretty enough to keep on your mantle when you’re done. 14. 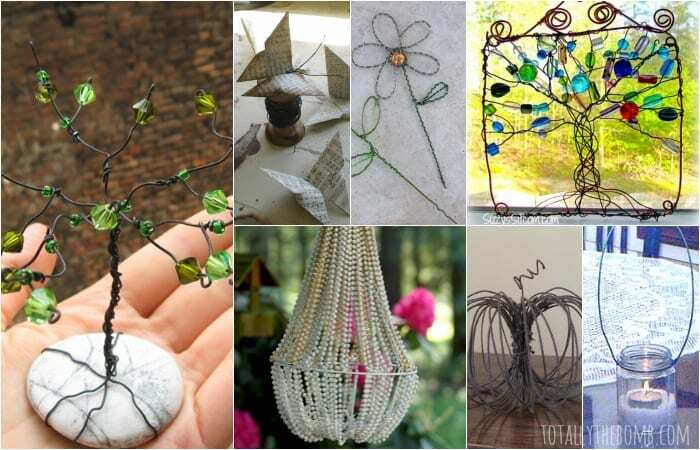 Did you know you can make easy and gorgeous 3D wire sculptures of your kid’s artwork? It’s just like playing connect the dot. 15. Hang jars from your deck using wire to make beautiful tea light holders for late night outside fun. 16. Want to hang the tea lights using wire but without the jars? Now you can! 17. Have some nail polish and wire? Make this beautiful stained glass ring in no time at all. 18. Finally! ‘Cut’ flowers that will last practically forever. 19. I’ve seen wire bow rings like this that cost $30 or more to buy. Now I can make them myself! 20. Wire sun catchers should be a staple in every home. They are gorgeous, reflect amazing light, and would totally brighten your day. 21. These personalized wire hangers are so fun and would be such a great gift at a bridal shower. 22. It’ll only take you a few minutes to make this heart clasp wire bracelet, but everyone asking “Where did you buy that?” will last a lifetime. 23. A cute wire a button bicycle is the perfect gift for any cyclist in your life. 24. Do you want something to memorialize your sweet ballerina’s dancing days? Make this adorable wire ballerina and you’ll have a smile on your face every time you see it. 25. Your teen will have a blast making word rings with their friends. 27. Origami butterflies might not be the rage yet, but once people see how beautiful they are, they’re all going to ask you how you did it. 28. And what about this seahorse? Have you ever seen anything this adorable in your life? That belly!! 29. 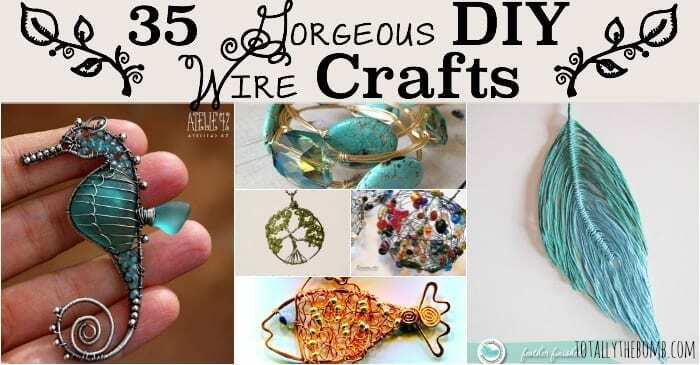 Why not make these beautiful and unique wire ornaments and hang them from your mantle year round? 30. Fishes are friends, not food. And now they’re also fish necklaces…but still not food. 31. You can never have too many sun catchers in your home. This wire butterfly sun catcher is sure to capture hearts and sun alike. 32. When I was a teenager, gem wire trees were all the rage. 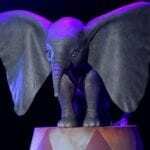 You can’t even begin to imagine how excited I was to find this tutorial for making my own. 33. This wire heart pendent doesn’t include a tutorial, but I bet you can figure out how to DIY it on your own. 34. 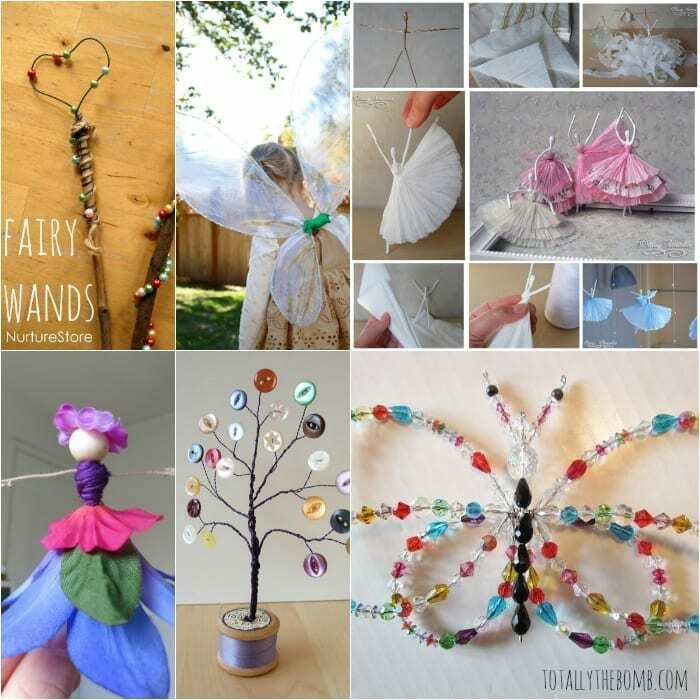 You’ll need specialty wire to make this sweet fairy, but it’ll be worth the trouble for this amazing and beautiful craft. 35. Who knew it was so easy to make these lovely tree of life pendent necklaces?